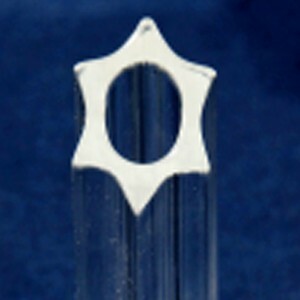 Simax Glass, because of its chemical composition and properties, belongs to the group of clear "hard" borosilicate glasses "3.3" characterized by high thermal and chemical stability, as defined by the international standard ISO 3585: Borosilicate glass 3.3 - Properties (or by identical Czech version of the standard _N ISO 3585: Borosilicate glass - Properties, or German DIN ISO 3585). The glass fully meets the requirements set down by these standards. Pryrex 7740 and Duran 8330 belong to this same class. Simax Glass is used in applications where the highest demands are put on products regarding their thermal and chemical stability. Its neutral formulation will not interfere with substances or preparations coming inot contact with them, i.e. in chemistry, petrochemistry, food industry, cooling technologies, power engineering, metallurgy, health service, microbiology, pharmacy, engineering, laboratories, home preparation of foods. The drawn tubing and rod porducts are manufactured using the latest technology that yields pristine surfaces that are smooth and pore-free, perfectly transparent, and corrosion-resistant. The quality is not only on the surface and in the glass but is also in the productio methods and philosophy of Kavalier Glassworks. This process and dedication produces consistent and clearly superior results.